Wizard Hockey is a competitive, travel, developmental team. Fun will always be a goal, but so also will be hard work, commitment to increased skill and ability, knowledge of hockey, and team play. Jay Rush is once again coaching a Wizard High School Summer League team in the league at the New England Sports Center. The information and registration link are below. Please register and notify Jay if you want to play. Please join the Edge Sports Center, the East Coast Wizards, and Sense Arena for our special Demo Days promotion. Come try the Sense Arena system for free from 1:00 - 9:00 PM on May 7th, 8th, or 9th. Each appointment is 30 minutes long and you will get a skill baseline set for future tracking. Please email apeacock@theedgesportscenter.com or follow this link. On Tuesday, June 18th from 11am to 4pm The Edge Sports Center will roll up our sleeves and help save lives! We will proudly partner with the American Red Cross to hold our second annual blood drive. The Red Cross has over 130 years of experience providing humanitarian aid – including more than 70 years of supplying blood to those in need. Each pint of blood we collect can help save up to three lives and will touch the lives of so many more. What a great way to pay it forward and make an impact on people in our community and across the country. We are very excited about the drive and I hope you are too. It’s not every day that we do something that has such a lifesaving impact. To book you appointment to donate, please visit redcrossblood.org and enter EdgeSportsCenter as the sponsor code. Please see the attached poster for more details and feel free to reach out to with any questions. It took a while, but our 63 boxes of donated equipment arrived in South Africa and the distrubution has begun. Please see the attached photo of some happy hockey players. All your effort and generousity is greatly appreciated by the South African Hockey Federation. The East Coast Wizards are one of only a few organizations in the world with access to this next generation training tool for improving puck skills and game sense. This training will have a big impact on your productivity in games. Please see the information and videos below and come to the Edge to try it out! Watching top hockey, basketball, football or other team sports, we admire not only the performance of the athletes, but more and more their sense of teamplay and mental skills. We have focused our program on training of the “brain muscle” of athletes starting at the age of 10. We believe that synchronized development of their physical and mental skills will make them better, healthier and happier players, members of winning teams. All drills have several different settings, including speed, frequency and accuracy of passes from a teammate, complexity of the drills, etc. Benchmarks within a team setting in addition to overall comparison to players - even from the other side of the world! That's the unique benefit of having training in a "digital environment", where the is the goalie always the same - in Toronto, Prague, Helsinki or the US! Pricing – Each player will undergo diagnostic testing to determine their skill baseline. This is a 20 - 30 minute session and the cost is $25. The cost of each subsequent session is $50 for 30 minutes. We recommend purchasing multiple sessions to maximize skill and cognitive development. Multi-session discount cards are available at the pricing below. Contact Adrien Peacock at 978-621-5158 or to schedule sessions. Established over 45 years ago the NEGHL remains the strongest, most competitive girls and women's hockey league in the United States. 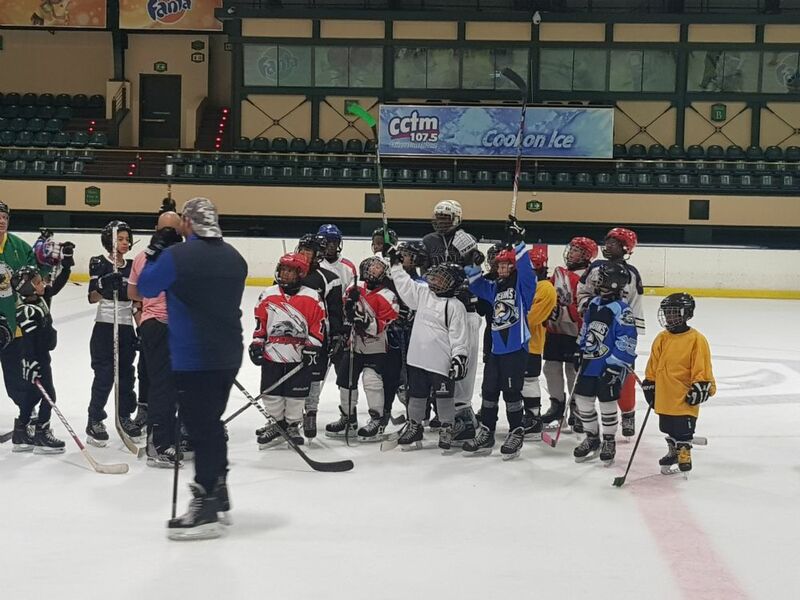 With more than 30 organizations representing over 220 girl's teams from across New England, playing in multiple levels of competition in U8 through U19 age levels, it continues to be the best league available to female hockey players. There are many advantages to playing in the NEGHL. Wizards named #1 Girls Program in the USA! We are excited to announce that the East Coast Wizards Girl's program has been named the top girl's program in the country! It is a fitting tribute to our coaches, players, and families. Please follow the attached link to the video of the top 20. Please follow the attached link for a good perspective on youth sports, coaching, team building, and the benefits of youth sports. COLORADO SPRINGS, Colo. — USA Hockey announced today the host sites for its slate of 2018 National Championships, with each tournament to be contested in March/April 2018. · The 2018 USA Hockey Girls National Championships will mark the 40th anniversary of USA Hockey crowning the nation's best in girls and women's hockey, a tradition that dates back to 1978 and the inaugural girls national championship tournament held in Orchard Park and Cheektowaga, New York. · USA Hockey Arena, in Plymouth, Michigan, will host its first-ever USA Hockey Youth National Championship when the nation's best compete at the 2018 USA Hockey Youth Tier I National Championship for 15-year-olds. NOTES: USA Hockey has been conducting the United States' national championship tournaments since 1938, with teams from 37 states being crowned champions in various classifications ... A list of USA Hockey national champions dating back to 1949 can be found here. For more information, contact Jayson Hron ( / 719.538.1159). Please see the informative article below about sports parenting. The Wizards Featured on Fox 25 News! The Wizards and the Edge Sports Center was featured on Fox 25 news as part of the Zip Trip to Bedford. Please follow the attached link to view the story. The following videos are from the "Relax it's only a game" campaign. You may have seen these on the USA Hockey website.